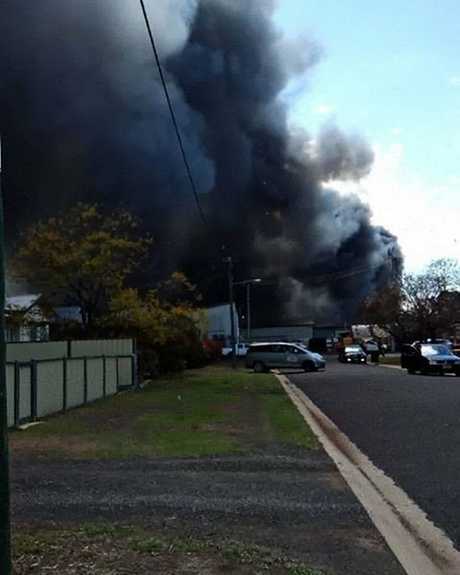 UPDATE, 2.30PM: Police have removed the 400m exclusion zone around a building fire in Napier St, Dalby. Dalby State High School has been taken out of lockdown. Napier St remains closed to the public. EARLIER: Authorities have setup a 400m exclusion zone around a structure fire burning in Napier St, Dalby. 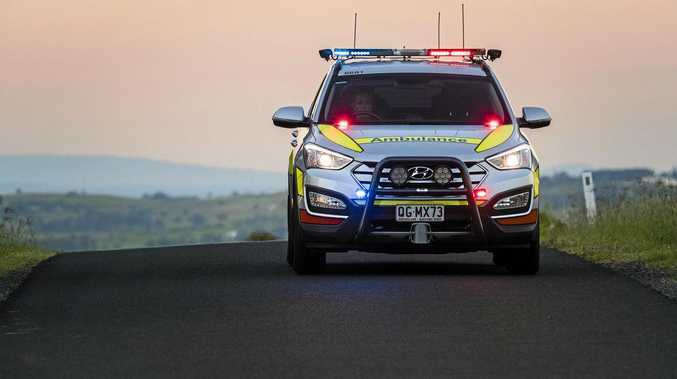 A Queensland Fire and Emergency Services spokeswoman said two crews were on the scene, with multiple on the way. 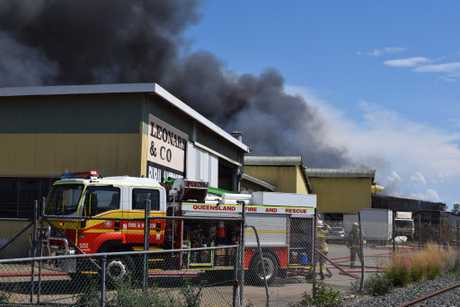 The spokeswoman said the structure was fully involved and that the 400m exclusion zone had been put in place because firefighters believed there could be gas bottles inside the building. Dalby State High School has been placed in lockdown as a safety precaution, due to its proximity to the fire. DSHS principal Dr Dean Russell texted parents at 2.15pm saying the school had been put into lockdown on police advice, and that all students were safe. EARLIER: Fire crews have arrived at the scene of a structure fire in Napier St, Dalby. The fire was called in around 1pm. 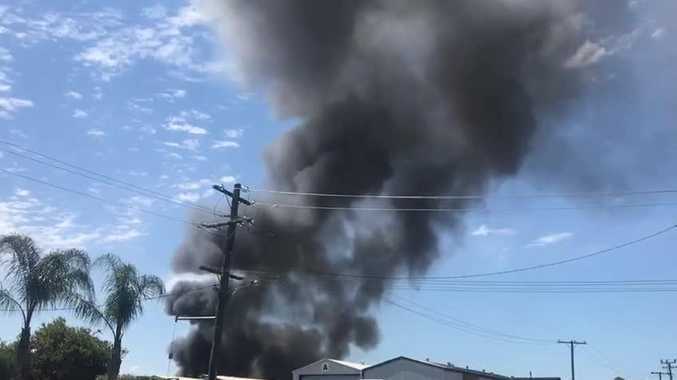 Police are closing Bunya St and Napier Sts, near the blaze, as firefighters believe the structure is filled with gas bottles. Witnesses say authorities are setting up an exclusion zone around the blaze.